Our Shop is temporarily closed. 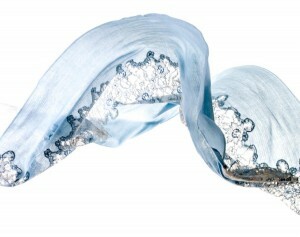 We are a small Italy-based company specializing in exquisite textiles. We believe that when it comes to fine fabrics and laces, only the best is good enough, and this website is our effort to share our passion for lace with you. We work directly with the best lace manufacturers from Northern France (Dentelle de Calais, Sophie Hallette, Riechers Marescot, Jean Bracq) whose history stretches back to the 19th century. All laces are produced on traditional Leavers and Bobbinet looms, most of them made in the 19th and the early 20th century. The greatest fashion brands in the world rely on these factories for their lace needs. Whether you are looking to add sparkle and glamor to your products or require a commercial partner, we can find a lace to suit your needs. Send us a message, and we will be happy to work out special conditions and bonuses tailored to accommodate your wishes. We are a flexible company, and we offer batch prices for bulk purchases. Make sure to check out our accumulative discounts! Get shop updates and special offers by email! All product pictures in the shop are © by French-lace.com, please ask our permission to use them.